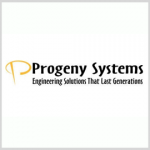 Progeny Systems has landed a potential four-year, $303.1M contract to produce MK54 Mod 1 lightweight torpedo kits and provide complementary test tools, spares and technical services for the U.S. Navy and foreign military sales customers. The contract has a $40.6M base value and would reach its maximum potential value if all options are exercised, the Defense Department said Wednesday. Efforts under the sole-source, cost-plus-fixed-fee, cost-plus-incentive-fee, fixed-price-incentive-fee contract will consist of 99 percent for the Navy and the remaining 1 percent for Canada, Australia, the U.K. and Taiwan. The service branch will obligate $40.3M in fiscal 2017 through fiscal 2018 Navy funds and $361K in FMS funds. Progeny will perform 55 percent of work in Charleroi, Pa., and the remaining in Salt Lake City, Utah and Manassas, Va. through August 2022. The Mod 1 upgrade includes a new sonar array assembly and bolstered processing capacities for the MK 54 torpedo. 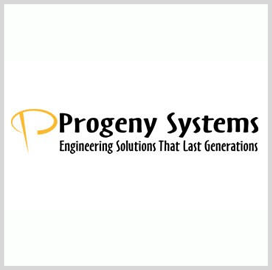 Progeny Systems is a Virginia-based company that offers system integration, computer-vision, research, development and manufacturing services for both government and commercial customers. Tags Australia canada Defense Department DOD featured FMS foreign military sales govcon MK 54 Mod 1 Navy Progeny Systems taiwan u.k.